Joining a Wesley band and attending fellowship dinners with the Meadows have been some of the most spiritually formative experiences of my life. I’ve been challenged to love authentically like Jesus, live honestly within community, and build up and support the body of Christ as I am also supported. My goal going into seminary was to find a group of women to covenant with and support and challenge one another not just throughout seminary but throughout life. I’ve found that within my band. As I leave seminary to go out into ministry I’m confident that I’ll never go alone. My band of wonderful women go with me across state lines, nations, and life circumstances. I’m eternally thankful for the day I was invited into a band and to fellowship dinners. 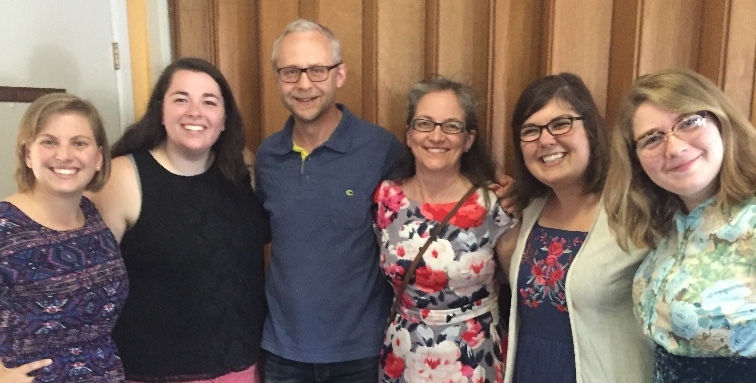 I found a family of believers to now journey through life together as we continue to learn how to love more like Jesus every day (Lauren Weaver, Asbury Theological Seminary).